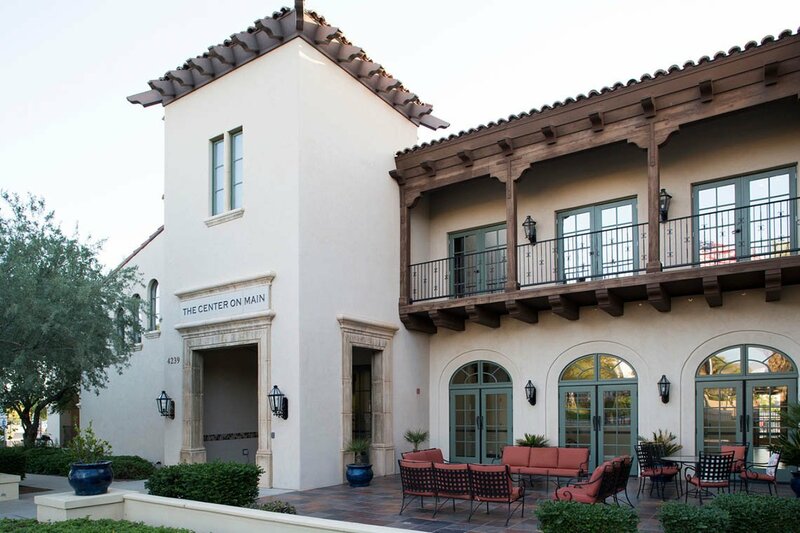 Daily Hours of Operation: 5 a.m. – 10 p.m.
An extension of your Verrado home, The Center on Main™ (located at 4239 N Village Street) is a 14,000-square-foot, private recreational facility for all residents to enjoy. 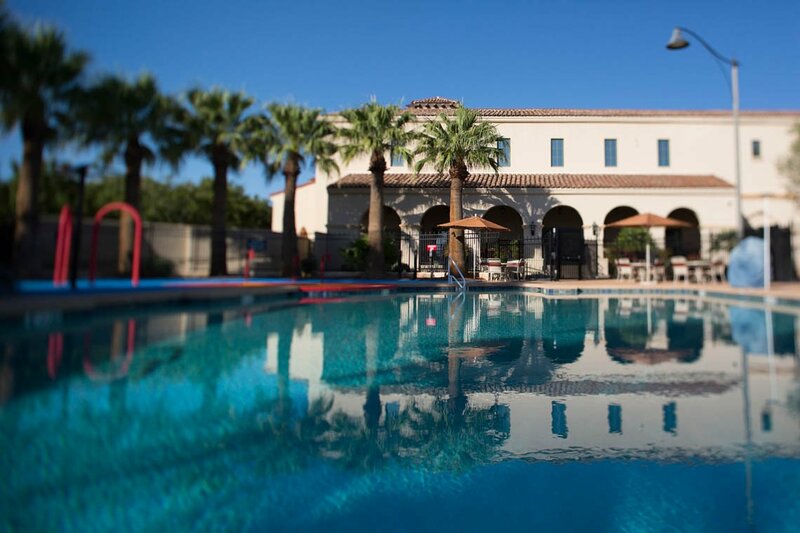 Situated on approximately 2.5 acres, it serves as the hub of activity in Verrado and includes indoor and outdoor areas that are used for a variety of activities, including informal club meetings, community gatherings, recreation programs, fitness and health/wellness classes, and also formal celebratory events. 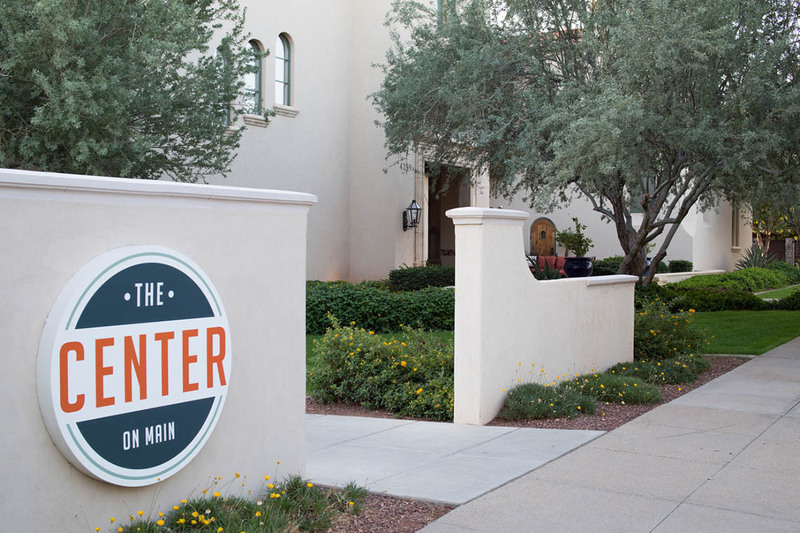 You can take a variety of fitness classes at The Center on Main. Find them on the events calendar. 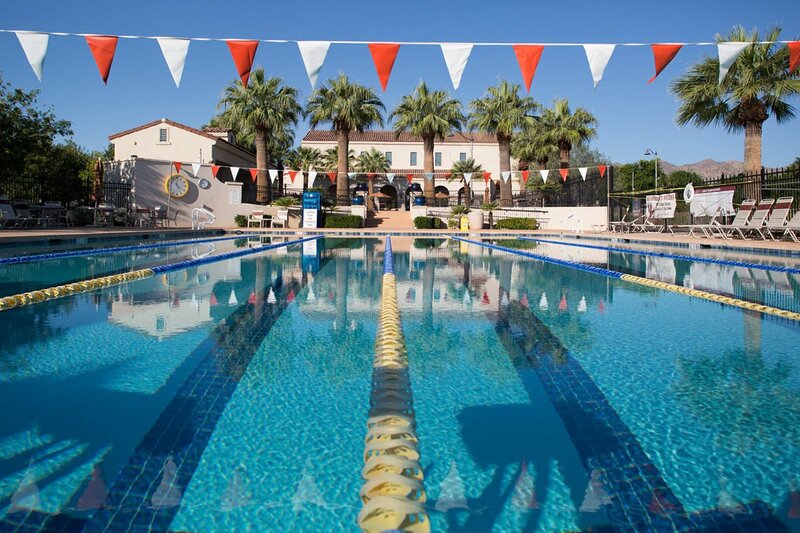 Learn about the sports and recreation programs at The Center on Main. Monday: 5 a.m. – 3:30 p.m. and 6:45 – 10 p.m.
Tuesday: 5 a.m. – 3:30 p.m. and 7:15 – 10 p.m.
Wednesday: 5 – 6:15 a.m., 8:30 a.m. – 3:30 p.m. and 7:45 – 10 p.m.
Thursday: 5 – 6:15 a.m., 8 a.m. – 3:30 p.m. and 7:15 – 10 p.m.
Friday: 5 – 6 a.m. and 7:15 – 10 p.m.
Saturday: 5 a.m. – 8 a.m. and 10 a.m. – 10 p.m.
Sunday: 5 a.m. – 10 p.m.
Find out when the pool is scheduled to be closed for maintenance on the events calendar. Follow us on Facebook for up-to-date closure information. 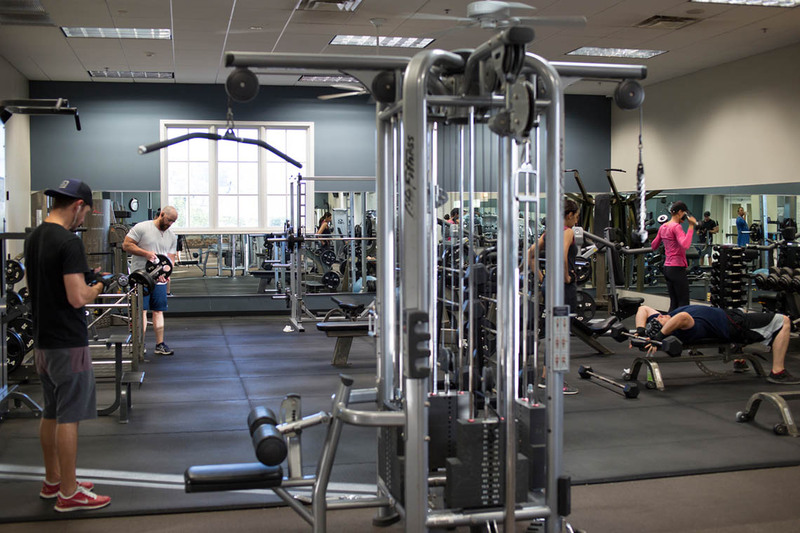 Youth aged 14-17 who want to use The Center on Main Fitness Room must complete a mandatory orientation program prior to use. This program held at The Center on Main includes an introduction and tour, review of policies and rules, quiz, and issuance of a photo ID card. 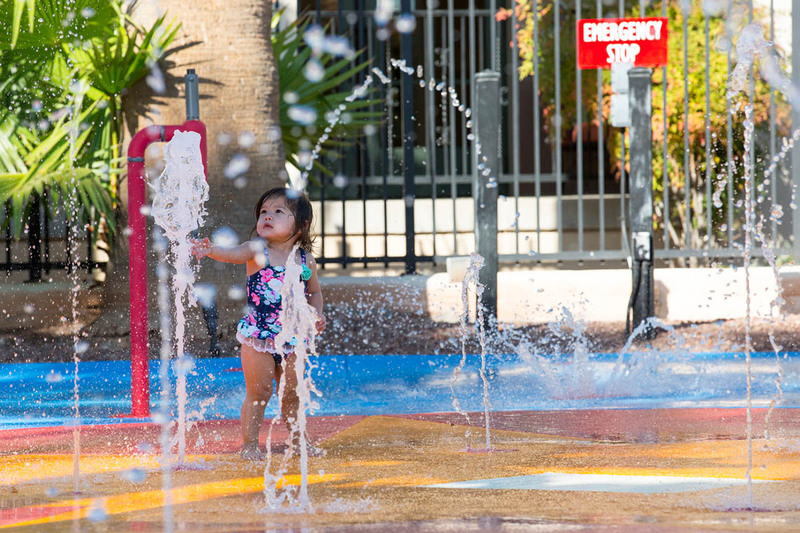 Accessible to all eligible households, Verrado households in good standing receive two complimentary access cards providing remote access during The Center on Main hours of operation. Access cards are required to enter the amenity and must be carried with you at all times.